SanDisk Pro Video Products - Peak Development Ltd.
"SanDisk showcase a 4TB USB-C Flash Drive prototype, plus Flashback Cloud Backup service and Extreme Pro Portable Sâ€¦ https://t.co/NXdqbnv2zw"
Made to perform. Take after take. With High Definition digital video now at the heart of professional production for both capture and storage, there's never been a greater need for robust and reliable high performance flash memory media. Flash Memory cards from SanDisk, the world's largest dedicated provider of flash memory storage solutions, have been the professional photographer's choice for many years. Today, SanDisk Extreme Pro® CompactFlash® memory cards and SanDisk Extreme Pro SDXCTM UHS-I cards are among the first choice memory cards for video producers and television professionals around the world. Features Video Performance Guarantee (VPG) to guarantee sustained video recording at up to 20 MB/sec (160Mbps) to meet the demands of professional, cinema quality Full HD Video. UDMA7 interface for high speed data transfer and post-production workflow efficiency. Performance / speed up to 90MB/sec read speed. Up to 100 MB/sec write speed for 128GB and up to 90 MB/sec write speeds for 16-64GB. SanDisk Extreme PRO Cards will not slow down your workflow. Deliver high performance video with Class 10 rating plus UHS Speed Class 1 (U1) to support cinema quality full HD (1080p), 3D and 4K video. Performance / speed up to 90MB/s write speed and up to 95MB/s read speed, providing fast data transfer for post production workflow efficiency. Performance / Speed up to 550MB/s sequential read speed for 120GB and 240GB capacities, up to 540MB/s sequential read speed for 480GB capacity, sequential write speeds: 510MB/s for 120GB model, 530MB/s for 240GB model and 460MB/s for 480GB model. SATA Revision 3.0 interface (6 Gbit/s) (backward compatible to SATA 3 Gb/s and SATA 1.5Gb/s). 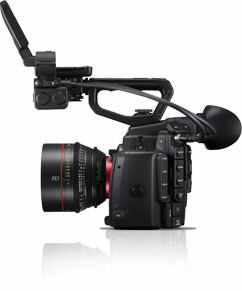 Qualified by Black Magic Design for RAW Cinema DNG video and compressed video capture on the Black Magic Cinema Camera. A USB 3.0 interface reader with a transfer speed of up to 500 MB/s for improved workflow. Supports up to UDMA 7 enabled CompactFlash memory cards and SDHC and SDXC UHS-I performance. Also compatible with microSD / Multimedia and Memory Stick and Memory Stick Pro Duo cards. Mac or PC compatible. Backwards compatible with USB 2.0 systems. 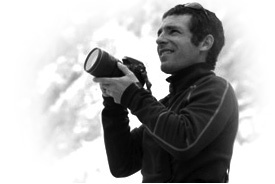 Phil Coates is a SanDisk Extreme Team member, a member of the British Association of International Mountain Leaders, a member of the Guild of Television Cameramen and a fellow of the Royal Geographical Society. Watch Phil Coates as he follows an Arctic Scientific Documentary. 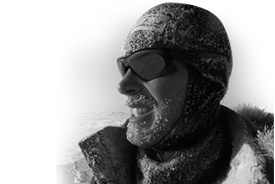 Watch Phil Coates following a Scientific Documentary across the frozen Arctic Ocean. Phil Coates shares some of his perspectives on the ever changing world of video and television production. Download the SanDisk Pro Video Brochure. [SanDisk SSD] It's insurance that I'm not going to lose the assets that are most valuable to me and my client. " When I work on remote location production I cannot take anything for granted. It's all about trust - I totally trust my team, my equipment and my recording media. " For more information on becoming a stockist of the SanDisk range of Professional Video Products, email provideo@peak-uk.com or call Martyn Stretch on (01489) 796979.